Congratulations are in order for golfer Alex Yang ‘21! 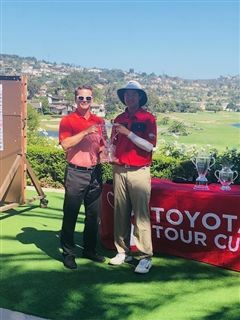 He won the Toyota Tour Cup Invitational on September 15 at Omni La Costa Resort. Alex's final score of -7 (65-72-72) gave him his win by three shots. Congratulations Alex!